'Tohoku no Shingetsu: A New Moon Over Tohoku' is a moving story of love, survival and Japanese tradition in the aftermath of the 2011 earthquake, tsunami and nuclear disaster in Northeastern Japan. Shot on location over 2.5 years in the coastal villages of Miyagi, Iwate and Fukushima, this film chronicles a healing journey of both the Canadian-Japanese filmmaker and the Japanese residents affected by the disaster. For the first time voices from the Tohoku people speak out, breaking away from their cultural silence to share their own stories. They speak of the profound, mystical understanding that strength has always come from their ancestors, and that they too now hold a unique place in the Japanese cultural continuum of survival. A young boy with a dream for the future and an old samurai with a new battle to fight: both discover something intangible and yet so essential to human life. 'Shingetsu' is a Japanese word meaning 'new moon', the moon that cannot be seen, yet still exists with all its power in the darkness of the night sky. 'Tohoku no Shingetsu: A New Moon Over Tohoku', the voices from Miyagi, Iwate and Fukushima. Linda Ohama is an award-winning director and independant producer based out of Vancouver, Canada. Since her first trip to Japan in 1998, she has been actively involved in promoting cultural exchange between Canada and Japan through various projects. "Tohoku no Singetsu: A New Moon Over Tohoku" marks her eighth major film achievement. I initially went to Tohoku as one of many volunteers, and not as a filmmaker. The more time I spent along the devastated coastline of Iwate, Miyagi and Fukushima, and the more Tohoku people I met, my role in Tohoku gradually changed, not out of my own initiative or desire, but as another way to help using my profession. Many victims asked and sometimes even begged to help them tell their stories in film, but I resisted. One day this changed while I walked alone on the empty, deserted streets of Odaka, Fukushima located within the 20 km ‘no-go’ zone affected by the nuclear power plant explosion. It brought me to tears and began a two year dialogue with Tohoku people in this documentary, Tohoku no Shingetsu: A New Moon over Tohoku. Perhaps being a foreigner (Canadian), a third generation Japanese Canadian, and a woman helped them and me in this process. Maybe it allowed Japanese victims to trust me with their stories so openly and succinctly. Maybe it helped me understand some things that are unspoken in their words, their song and their dance. After our interviews, many people expressed how important it was to finally speak about their pains, losses, joys, fears, anger, love…and I could visibly see that this process of storytelling was an important part of their personal healing. 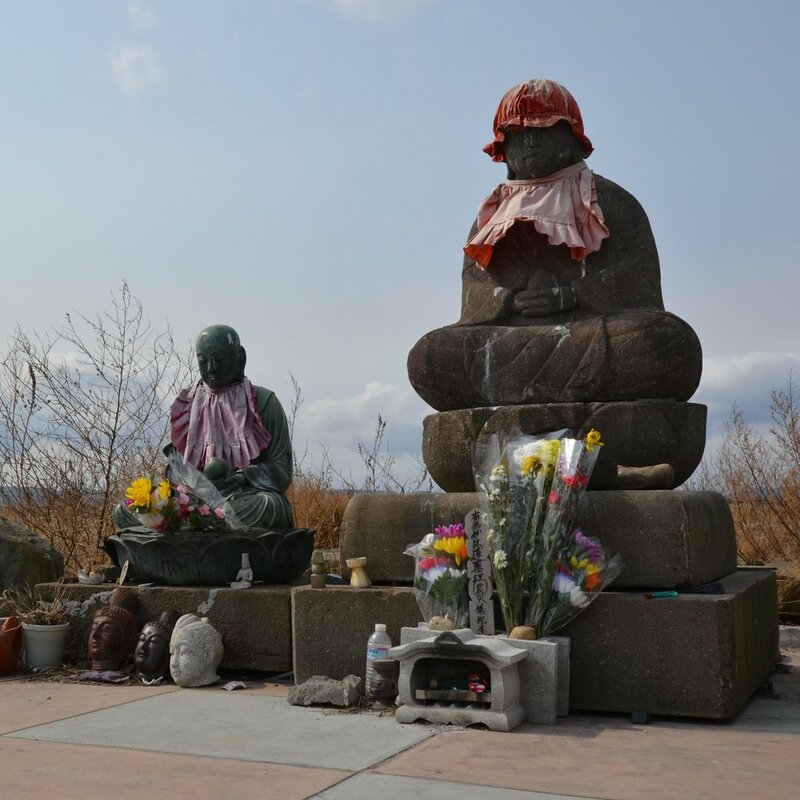 The Tohoku people help us recognize what it is that makes each of us human. We can’t ignore them so easily and lose the opportunity to learn about living, dying, being Japanese, and being human. In this techno-disposable world, something so organic and living helps us remember these things. Help this film travel throughout Japan, Canada and beyond. It is our hope that 'A New Moon Over Tohoku’ and the messages within it will spread throughout the world. To date, we have screenings in both the Vancouver International Film Festival and the Calgary International Film Festival. Our goal is to promote the film in Japan as well as internationally so it will play in the major centres around the world. In order to achieve this, we will need your help for travel and promotional expenses. Currently Linda Ohama is in Japan promoting ‘A New Moon Over Tohoku’. Any donation would be greatly appreciated. Thank you.